Excited to hear about the upcoming new James Bond novel from Anthony Horowitz. I loved his first 007 outing, Trigger Mortis, so looking forward to reading this one! 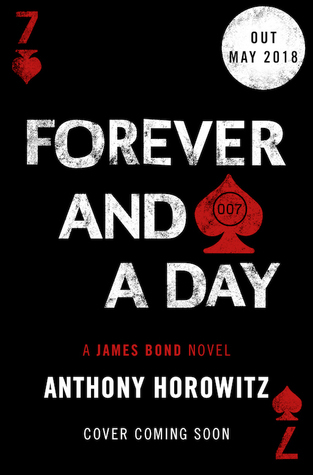 Forever and a Day is a prequel to Fleming’s first Bond story, Casino Royale, and follows Bond’s origin, earning his infamous licence to kill. Set on the French Riviera in the 50s, it also features Moneypenny and M. Apparently it also includes previously unpublished material from Fleming for Horowitz to weave into the story. Exciting stuff! Forever and a Day is published by Jonathan Cape Publications on 31st May 2018 in the UK, coinciding with Fleming’s 110th birthday. My pre-order is already in!